Lot 511. 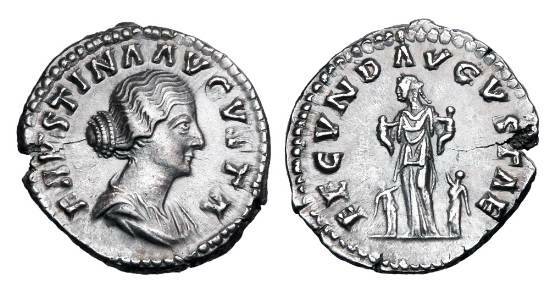 FAUSTINA JUNIOR, wife of Marcus Aurelius. AR Denarius.